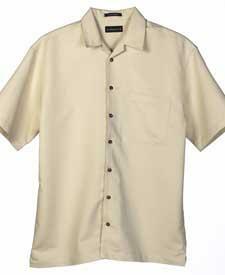 65% Rayon / 35% Polyester Microcord Short Sleeve Camp Shirt with Left Chest Pocket. 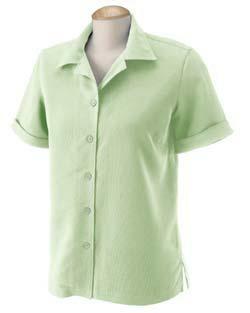 Design Details Include a Self Collar, Double Yoke with Pleated Back, and Full Button Front With Wood Buttons. 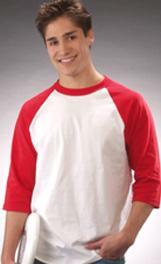 Built to Last with Hemmed Short Sleeves, Double-Needle Stitched Armholes, and Hemmed Bottom With 2" Side Vents. 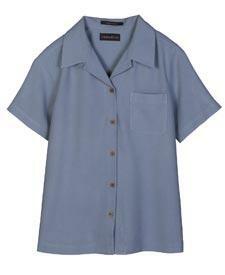 65% Rayon / 35% Polyester Microcord Short Sleeve Camp Shirt. 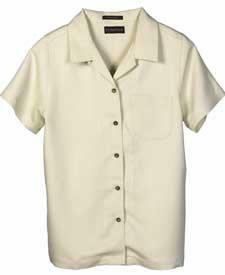 Design Details Include a Self Collar, Fitted Silhouette with Front and Back Contour Darts, Back Yoke, and Full Button Front with Wood Buttons. 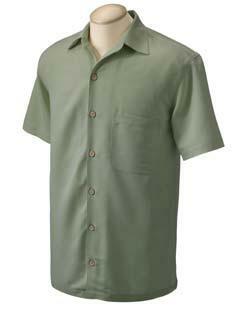 Built to Last With Hemmed Short Sleeves, Double-Needle Stitched Armholes, and Hemmed Bottom. 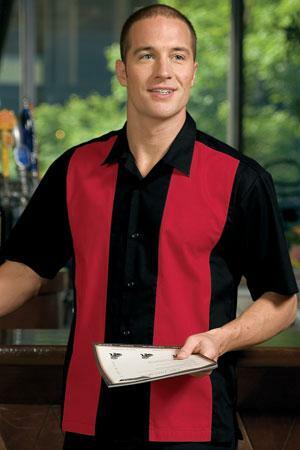 This isn't your father's shirt. Although the contrast panels create a cool, retro vibe, it's noticeably lacking in the starchiness and high maintenance of yesteryear. 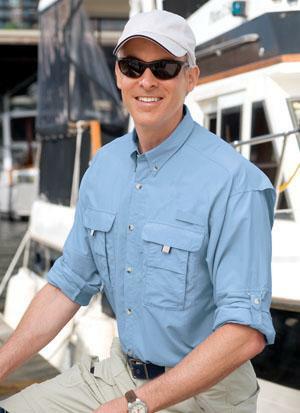 The 66% rayon/34% polyester micro-cord is luxuriously soft yet substantial, and constructed for durability with double yoke and double needle stitched armholes. 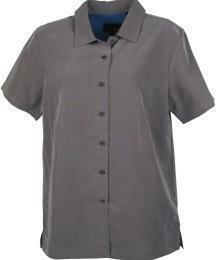 It's designed for comfortable wear as well, with a pleated back and side vents. 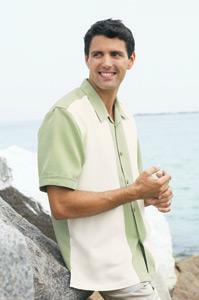 60% rayon/40% polyester microfiber, 5.5-oz., Sand-washed for extra softness, Left chest pocket, Square bottom, Cross-stitched buttons. 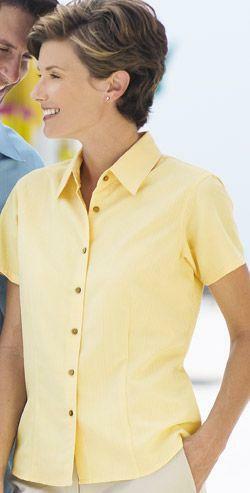 Elegant, machine washable 70/30 silk/cotton sandwashed blend; open collar and bottom hem. Tailored for a woman with front and back darts. 100% Supplex nylon, 100% poly mesh trim. Velcro-closed fly box pockets, vented back; tool holder, rod holder and utility loop. 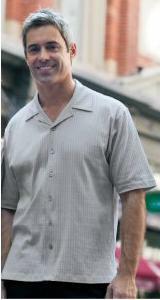 Horn tone buttons, button-down collar and roll-up sleeves.